Thanks to online racebooks you can now experience the thrill of betting on horseracing right from your computer, tablet, or mobile device. 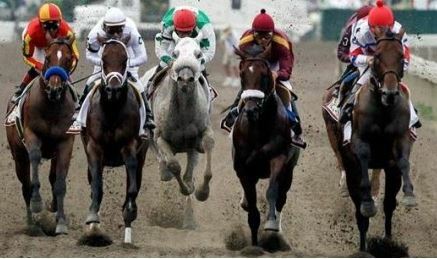 With online race betting being legal in almost every jurisdiction of the United States and in many other locations around the world such as the United Kingdom and Australia, many people are tuning in to the world of thoroughbred racing and trying out their handicapping skills. In the pre-Internet days you would have had to travel in person to a racetrack or an offtrack betting parlor (OTB) to bet on the horses. All of this has changed now. By signing up for an account with one of EZ Horse Betting’s recommended racebooks, you can have a full-fledged OTB right at your fingertips. All of your favorite tracks and a full betting menu are just a few clicks away! TwinSpires.com : Click here to read our review of Twin Spires. 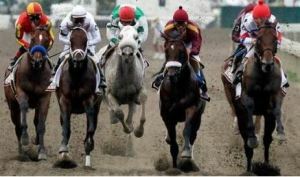 Horses.bovada.lv : Click here to read our review of Bovada racebook. Bet the horses from home. Going to the racetrack in person is a great idea, and we highly recommend it, but perhaps you don’t live in close proximity to a track. Also, racetracks only conduct so many racing dates each season. With an Internet racebook you never have to leave the comfort of your living room and you can watch and wager on horseracing 365 days a year! A full wagering menu. Do you like to play the exotic wagers like a Pick Six? With an online racebook you will have full access to the same wagering menus offered at the live track. Generous bonuses! A live racetrack is not going to offer you $200 or more in free money as soon as you walk through the door. Many online racebooks will give you a generous sign up bonus as soon as you register your account and make a deposit. Check our reviews for the best bonus offers! Free handicapping materials. In order to pick a winner at the racetrack you need the right information. Many online racebooks will give you free past performances, workout information, and a vast library of race replays so you can be prepared when it’s time to make your bet! 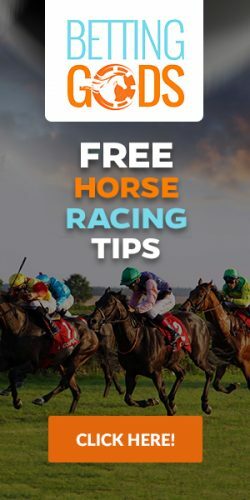 Many, if not all, of the online racebooks we recommend have an app or mobile platform that will allow you to make bets with your iOS or Android phone or tablet. Mobile betting is on the rise with more and more people taking advantage of the flexibility of betting with their phone. No longer will you have to miss a big race. Your online racebook account will travel with you wherever you take your phone or tablet. If you like to attend the racetrack in person, even better! You can use your mobile device to bet while you watch the live action and sometimes earn generous rebates for every dollar you wager. That’s something you won’t find at a live racetrack. Racebooks apps for the iOS and Android are fast, too. You won’t have to worry about being shut out just a few minutes before post time. Just a few simple clicks and your bet is made! Now, all that is left to do is cheer your horse to victory. A mobile betting app. You want your racebook to offer a mobile betting app or platform that you can use on the go. New player bonuses. It just makes sense to find out which online racebooks offer the best sign-up bonuses for new players. We’ll help you find the biggest bonus offers. Rebates. Did you know that many online racebooks offer you a portion of your wagers back in the form of a rebate? That’s right. You could earn cash back on every bet you make with some racebooks. Full wagering menus. Make sure the online racebook you choose offers a full wagering menu. You should be able to bet win, place, show, exacta, trifecta, superfecta, the Pick Six and more with your online racebook. On-track odds. The best online racebooks offer the same pool odds that you will find at the live racetrack. Are you ready to win money betting on horses? So, are you ready to make some money at the racetrack? We thought so. Head on over to our racebook reviews, choose your favorite, and sign up for an account right now. Then, start reading through all of the great information we give you here at EZ Horse Betting! Good luck! Daily Racing Form has been sold! What Is A Listed Race In Horse Racing? & What is point to point race?